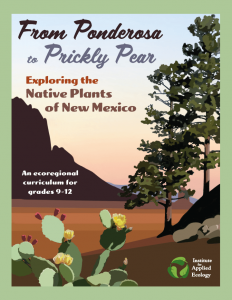 “From Ponderosa to Prickly Pear: Exploring the Native Plants of New Mexico was released in early 2017 and was compiled by staff from the Southwest Program office for the Institute for Applied Ecology in Santa Fe, NM. 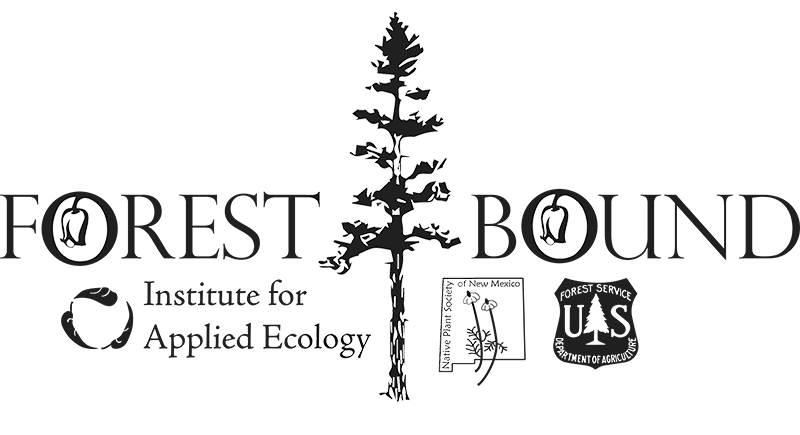 This high-school level eco-regional curriculum offers a complete study of native plants in the “Land of Enchantment” state. The curriculum aligns with NPSNM’s mission to promote the knowledge of plant identification and ecology and foster plant conservation and the preservation of natural habitats. 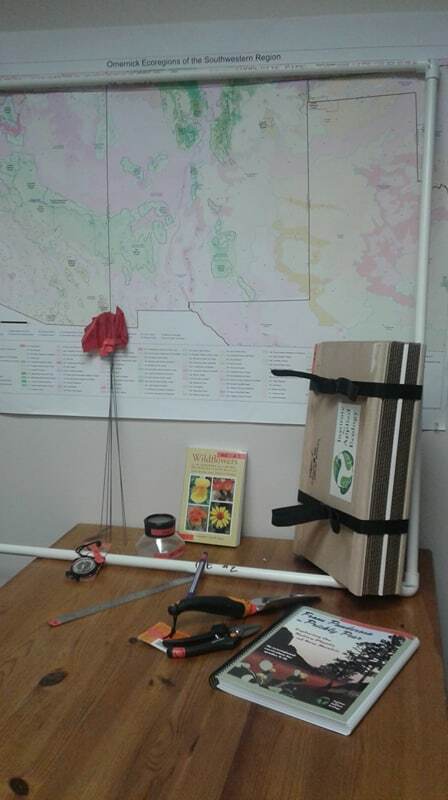 Lessons encourage students to explore what is outside their door and to journey through the flora, ecology, landscape management, and cultural plant relationships unique to New Mexico and the Southwest. If you are interested in purchasing a printed copy of the curriculum you are welcome to do so here. The curriculum is also available for free in PDF form here. This is a summer training program designed for high school age youth to participate in experiential learning, and build conservation and ecology skills to further their knowledge on native plants. 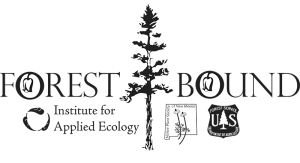 For information on Forest Bound, or to register click here. 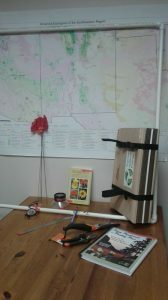 Teacher Curriculum Kits: Curriculum boxes will be available for students and educators within New Mexico. You will be able to check out these boxes for a small mailing fee or if you are close enough, for free to supplement lessons with your students. 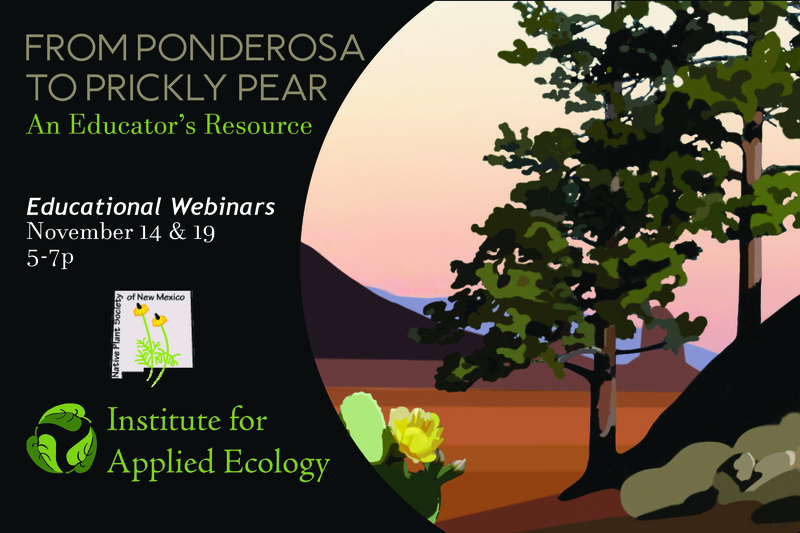 Facebook Support Group: Educator's implementing the Ponderosa to Prickly Pear Curriculum are welcome to join the facebook support group, where you can easily communicate with IAE education staff with questions, as well as troubleshoot and chat with other educator's doing this work. You can join or view here. Plant Blindness: the inability to see or notice the plants in one's own environment, leading to the inability to recognize the importance of plants in the biosphere and in human affairs. Studies have shown that plants are all too often ignored or passed over for interest in wildlife conservation and education, even a plant’s role in our ecosystem is just as vital. From Ponderosa to Prickly Pear is a curriculum developed by the Institute for Applied Ecology, focusing on Native Plants of New Mexico. This curriculum aims to connect our youth with plants and to foster a relationship that sparks their interest in Native Plants.With the implementation of this curriculum, the Institute facilitated two webinars available to conservation educators and science teachers within New Mexico. You are welcome to view the webinar, and download the supplemental materials.